It’s unfortunate that doctors don’t have the power of The Force. Think how easy it would be to get patients to adhere to treatment plans and reduce patient no-shows! Since doctors don’t have super abilities like Star Wars characters, it is important for physicians and practices to fully understand the basics of “selling” patients on the idea of video visits. This topic is very common among our Chiron Health account team. To answer this, there are two approaches you can take: The Dark Side or the Light. Which side you choose is up to you, but choose wisely. 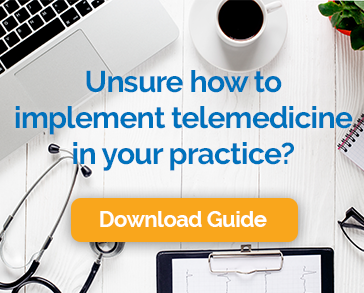 Some of the practices that use Chiron Health for telemedicine software choose a more direct and forceful (no, unfortunately not the super ability) approach to dictating which patients will be seen over video visit. These practices simply tell patients that the physician will see them over video. No questions on technology, no questions on preference, it is how it is. “See us over video visit, you will.” (I know, I know, wrong side… but still). Some of these practices even have video visits built into the practice policies. For example, you could set certain appointment types to be seen only over video visit (routine follow-ups is a great example). Practices that choose this method in general, make it seem like patients do not have the option to be seen in person for certain visit types. Whichever side you choose, it is important to let your patients know that they are The Chosen One for a video visit for their upcoming appointment and why they have been chosen. At Chiron Health we suggest reminding the patient about convenience of a video visit and how easy the tool is to use. If you would like to review the most common patient questions and suggested answers from the Chiron Health team, view our blog here and patient resources here. May the force be with you… and let us know if you need any help scheduling video visit appointments!